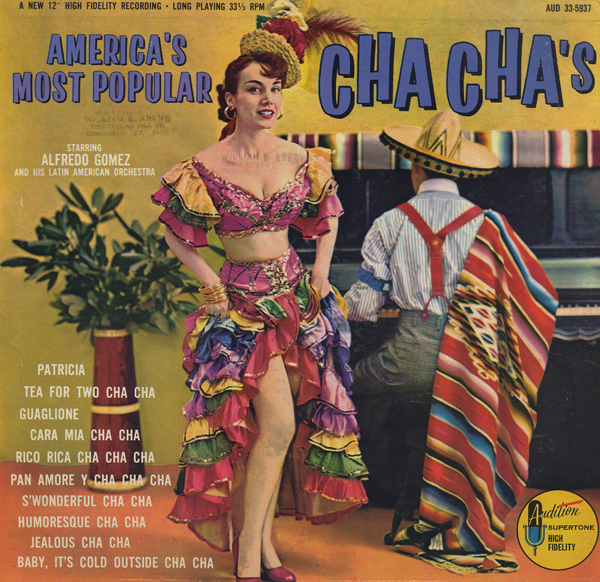 Here's an obscure Cha Cha record on an obscure label featuring a lost to history (as far as I can tell) recording artist. 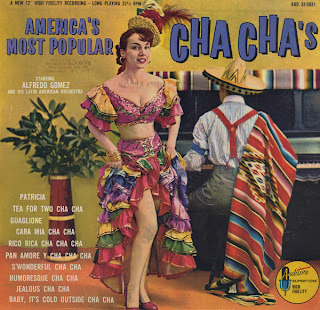 There is an organ featured on a few tracks that helps to create an unique sounding Cha Cha song. This is a pretty dang good space age record. There is no information to be found on this budget label release. The back cover is loaded with fluff about Hawaiian history and so forth. There is no mention of who the artist is on the jacket. Most of the songs have a wonderful haunting vocal treatment that keep the tracks from becoming your average mood. 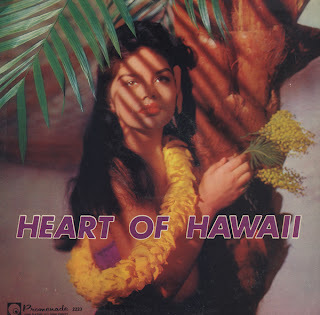 There is also an excellent and very dramatic cover of Hawaiian War Chant on this album along with a nice cover of Beyond The Reef. I chose a track from the B side, Dark Dawn, because it seemed to be the most unusual and most mood setting song on the record. Give it a chance, there is a weird little guitar break about half way through. 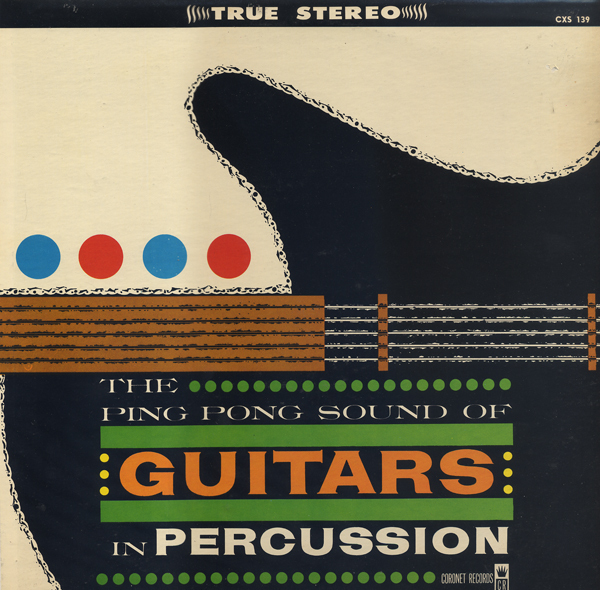 The entire album title is misleading as far as the "percussion" is concerned. 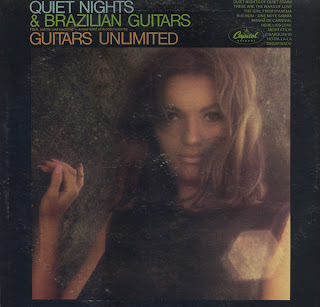 But the music is cool and for the most part "surf" guitar influenced. I made some attempt to find info on Eddie Wayne online with no success. There are songs with a more driving beat on the album, but I warmed up most to the last track on the B side, Sun Spots. 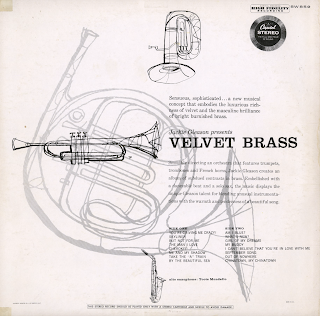 Excellent light jazz with a 60s vibe. Recommended. 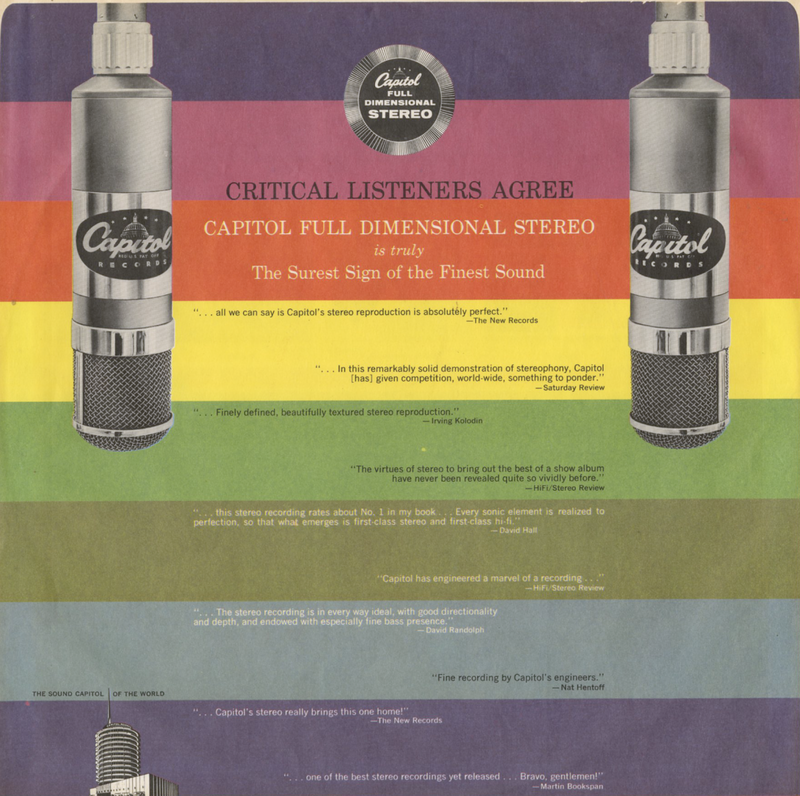 From Billboard - February 2, 1959: Capitol Record's latest release of stereo LP's should find a hearty reception from stereophiles. 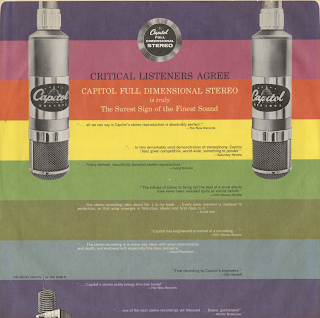 Included in the 16-LP release are stereophonic versions of sets that have in most cases proven big monaural sellers. 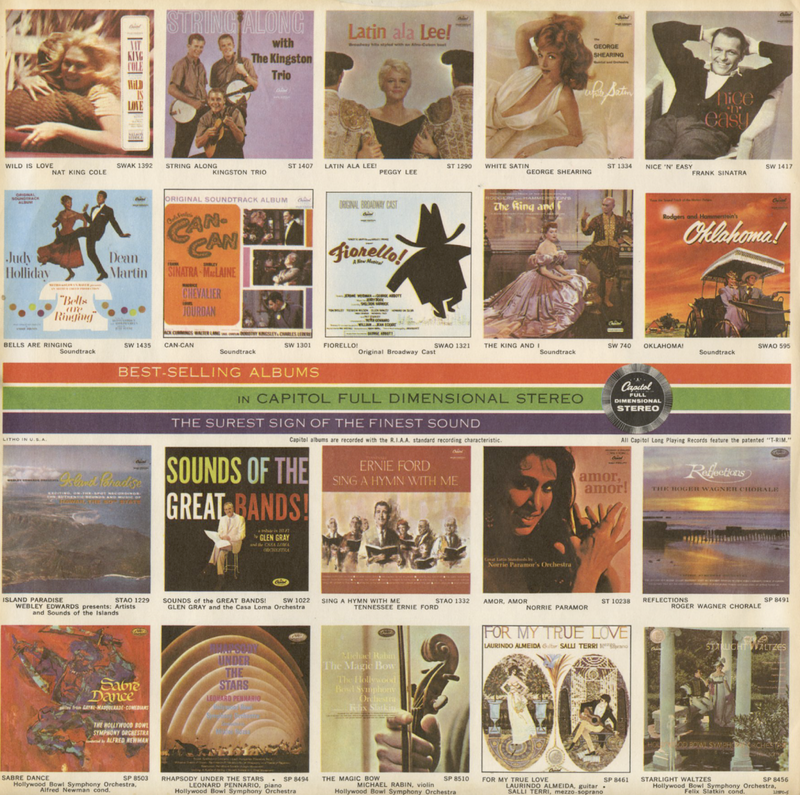 Headlining the pop releases is "Oklahoma!" In stereo the album is even more charming and this release should create new interest in the set, which has long been a best-seller. Another strong pop album in the group is "Jackie Gleason Presents Velvet Brass," which lends itself very well to stereo, because of the many contrasting ork effects. Billboard indicated that this album had "Moderate potential" even though they thought the cover was "attractive". 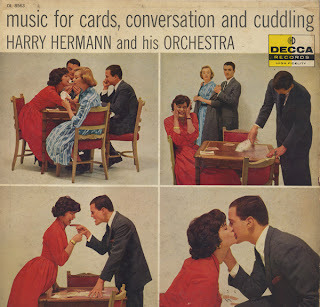 This is a somewhat obscure Decca release and I could find almost nothing online concerning Harry Hermann. From the back cover: ...by the fact that at seventeen, he was playing with the Vienna Philharmonic under the direction of Richard Strauss. I'm not sure exactly what story the cover art is telling. The ever-so-light mood music is way too low key to play during a shouting match. 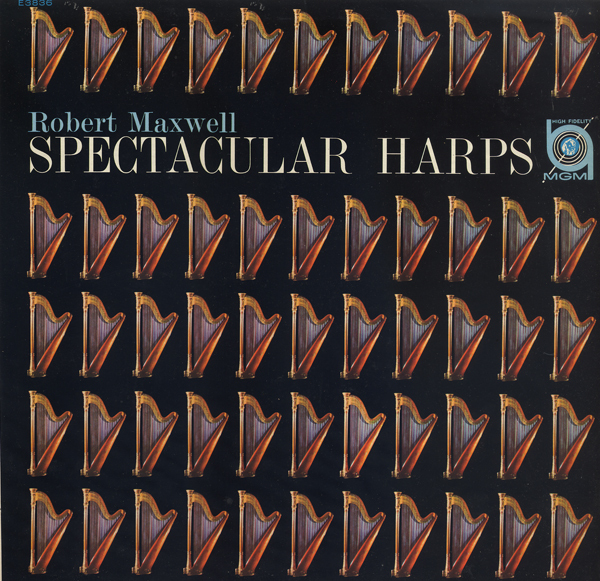 Robert Maxwell used the harp more as a percussion instrument, an innovative approach. 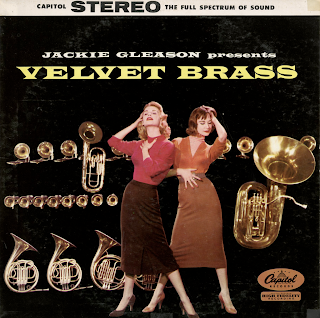 This album was marketed by MGM as part of a "Spectacular" series of records. 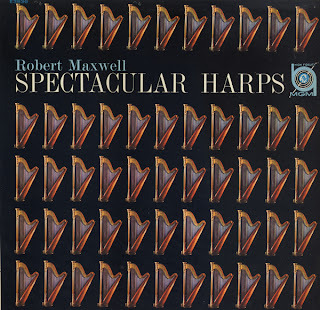 Albums featuring "brass", accordions, percussion and harmonicas where released at the same time as Spectacular Harps. The record isn't one that sets a "mood". 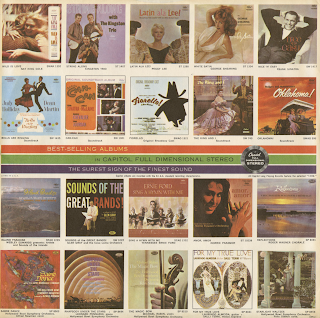 Songs range from soft and atmospheric to cheesy 60s light fare. But all songs sound fresh and unique. This is the first of several "Moog" synth records Hyman made on the Command label. 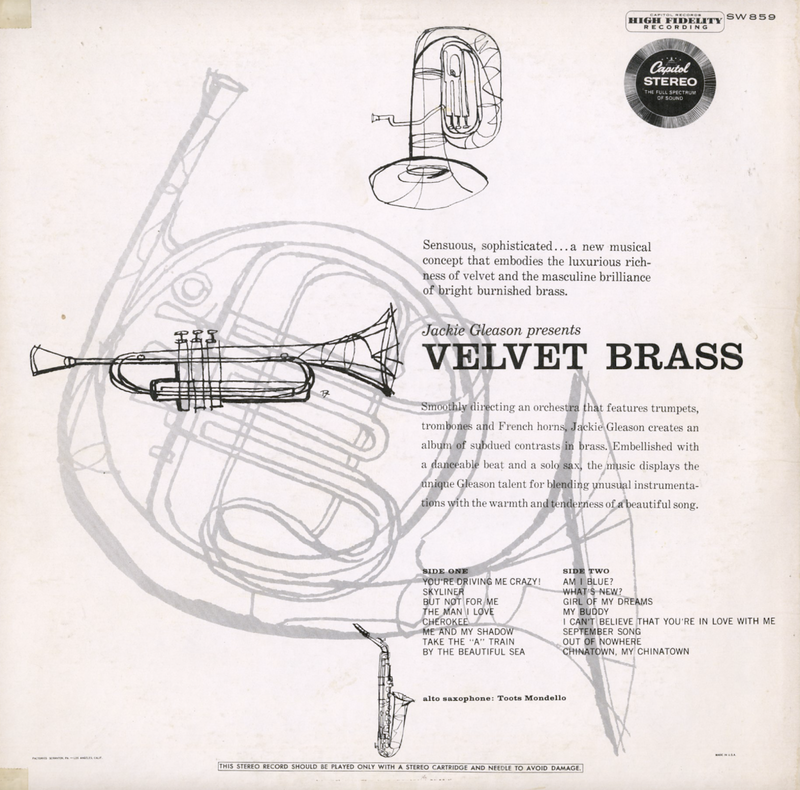 This LP can be found, including some tracks from the follow-up LP, The Age Of Eletronicus, on CD. I read one review that make you think the entire LP is filled with cheesy music. The first few tracks on the A side are sort of cheesy sounding. I like that 60s sound, myself. But the remaining tracks on the A side are dark and mysterious and seem to me to pave the path for many science fiction sound track arrangements to come. 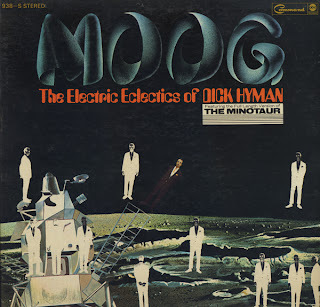 Side B opens with a long track titled The Minotaur. The vibe reminds me of something Frank Zappa might have done if he swapped in his guitar for a Moog long enough to compose one song. The rest of side 2 is equally atmospheric. 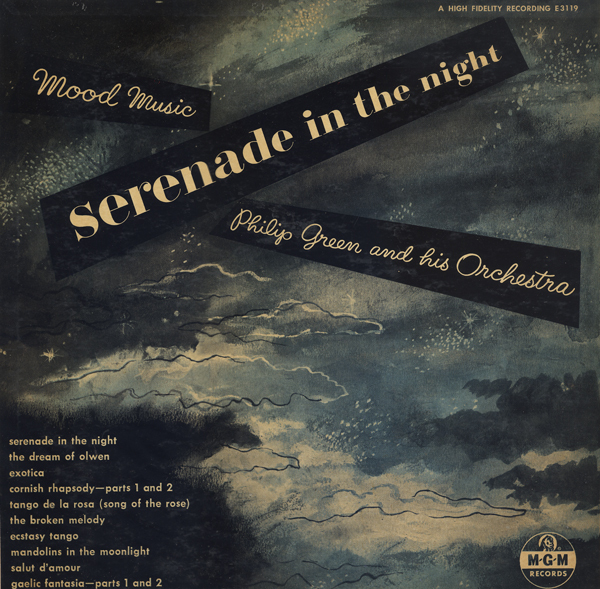 I can find precious little information on Philiip Green. 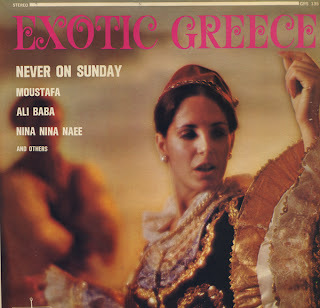 I would label this album "light exotica". The track list features a number of popular exotica tunes. The A side is somewhat more interesting than the B side, which seems to fall back more heavily on standard mood arrangements.